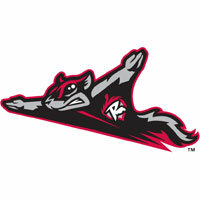 The Richmond Flying Squirrels (67-66) could not take advantage of a loss from the Western Division wild card- leading Altoona Curve in a 6-5 defeat at Metro Bank Park in Harrisburg on Monday night. Devin Harris homered for the second consecutive game, but Squirrels ace Kelvin Marte suffered one of his poorer outings of the year in the defeat. With Altoona and Akron both losing on Monday, the Squirrels remain in third place and trial the Curve by three games with only seven left to play (four at home). The second game of the four game series in Harrisburg is on Tuesday at 7:00 PM with LHP Mattt Lujan on the mound for Richmond. Rando Moreno put his best foot forward to open the game for the Flying Squirrels. Moreno singled to right field and advanced two bases on Myles Schroder’s sacrifice bunt. Moreno came around to score on a ground out to short off the bat of Juan Ciriaco for a 1-0 lead. Harrisburg countered with a three-run second inning against Kelvin Marte. The lefty Marte hit the first batter of the inning Isaac Ballou. Pedro Severino then beat out a double play ball to reach first base on a fielder’s choice. Reegie Corona followed with a double to left and the pitcher Tanner Roark cracked a single to tie the game, 1-1. Harrisburg grabbed the lead on a ball grounded down the third base line that missed the glove of third baseman Myles Schroder and rolled into left field for a 3-1 Senators lead. Devin Harris put the Squirrels back in front, 4-3, with a three-run homer in the fourth inning that cleared the entire park in left centerfield. Hunter Cole and Ricky Oropesa set up Harris with base hits to begin the frame. It was the second consecutive night with a home run for Harris and he is one shy (12) of tying his mark from last year with Richmond. Major League pitcher Tanner Roark made a tune up start for the Senators and pitched just two innings to begin the game. Roark, a 15 game winner with the Nationals last year, allowed one run on two hits on 34 pitches. Colin Bates entered in the third inning and earned the win for Harrisburg. Bates (6-5) allowed four runs on six hits over four innings of work. The Senators responded immediately off Marte in the bottom of the sixth. With one out, Adrian Sanchez connected on a double into left field and the pitcher Colin Bates worked a walk. That brought up the leadoff man Wilmer Difo and Difo hit a potential double play ball to short. Unfortunately, Juan Ciriaco’s relay throw to first was off the mark and zipped past Oropesa at first to score a run and move Difo up to second base. The next batter Brian Goodwin lined a home run over the right field wall for a 6-4 advantage. Myles Schroder pulled Richmond to within a run, 6-5, with a homer run to right in the fifth inning. Marte (10-6) managed to last seven innings despite allowing 10 hits and a season-high tying six runs. The Squirrels failed to score in the seventh and eighth innings against reliever Nick Lee and Paul Demny closed out the game in the ninth to earn the save. The Squirrels eight game road trip continues Tuesday with game two of four in Harrisburg. Squirrels LHP Matt Lujan (8-5, 3.20) will make the start against Senators RHP Austin Voth (5-7, 3.18). First pitch is scheduled for 7:00 with the Pregame Warmup beginning at 6:40 PM on Fox Sports 910 and FoxSportsRichmond.com. The Remaining Squirrels promotional schedule is as follows: (9/4) Free Shirt Fridays, Happy Hour & Ladies Night. (9/5) Superblast Saturday and 20th Anniversary of Billy Madison. (9/6) Kids Club Metal Lunchbox Giveaway. (9/7) Bark In the Park #3 – Labor Day.